In February 1957, the Asian influenza pandemic was first identified in the Far East. Immunity to this strain was rare in people less than 65 years of age, and a pandemic was predicted. In preparation, vaccine production began in late May 1957, and health officials increased surveillance for flu outbreaks. Unlike the virus that caused the 1918 pandemic, the 1957 pandemic virus was quickly identified, due to advances in scientific technology. Vaccine was available in limited supply by August 1957. The virus came to the U.S. quietly, with a series of small outbreaks over the summer of 1957. When U.S. children went back to school in the fall, they spread the disease in classrooms and brought it home to their families. Infection rates were highest among school children, young adults, and pregnant women in October 1957. Most influenza-and pneumonia-related deaths occurred between September 1957 and March 1958. The elderly had the highest rates of death. The World Health Organisation has said that the world is not prepared for a global flu pandemic and that resources are inadequate. Avian influenza virus H7N9, which killed several dozen people in China earlier this year, has not yet acquired the changes needed to infect humans easily, according to a new study by scientists at The Scripps Research Institute. In contrast to some initial studies that had suggested that H7N9 poses an imminent risk of a global pandemic, the new research found, based on analyses of virus samples from the Chinese outbreak, that H7N9 is still mainly adapted for infecting birds, not humans. In the fall of 1917, a new strain of influenza swirled around the globe. At first, it resembled a typical flu epidemic: Most deaths occurred among the elderly, while younger people recovered quickly. However, in the summer of 1918, a deadlier version of the same virus began spreading, with disastrous consequence. In total, the pandemic killed at least 50 million people - about 3 percent of the world's population at the time. Safe Life Corp., an innovative antimicrobial company dedicated to developing novel technologies that prevent the spread of infection and disease, announced today that it is ramping production of its comfortable, breathable, A400 Series respirator to help healthcare providers and government agencies address the global shortage of N95 respirators during the H1N1 pandemic. What are the odds you will be one of the unlucky ones who gets the flu this year? Book of Odds has launched "Flu Week," a fascinating look at the odds associated with the influenza virus. Weill Cornell Medical College in Qatar hosted a detailed talk about a virus that's causing concern around the world. The recent cause of an interruption in local school openings, H1N1 information was presented in timely fashion by Dr. Abdullatif Al-Khal, head of the communicable disease unit at Hamad Medical Corporation, and Dr. Ravinder Mamtani, Professor of Public Health at WCMC-Q. 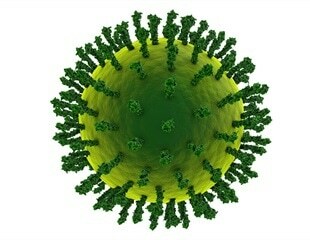 The discovery of the molecule, an antibody known as CR6261, is good news for researchers who hope to design a flu vaccine that would give humans lifelong protection against a majority of influenza viruses. The exchange of genetic material between two closely related strains of the influenza A virus may have caused the 1947 and 1951 human flu epidemics, according to biologists. Determining the structure of a protein called hemagglutinin on the surface of influenza B is giving researchers at Baylor College of Medicine and Rice University in Houston clues as to what kinds of mutations could spark the next flu pandemic. Last month a collaboration of European and Asian researchers launched a new attack against the deadly bird flu virus, harnessing the combined power of more than 40,000 computers across 45 countries to boost the pace of anti-viral drug discovery. Treatment with the oral antiviral Tamiflu (oseltamivir) and prophylaxis for people exposed to infected patients could be one of the most cost-effective strategies for reducing illness and death during an influenza pandemic. The HPA Influenza Pandemic Contingency Plan outlines the Health Protection Agency’s plan for responding to an influenza pandemic. It replaces the Public Health Laboratory Service Pandemic Influenza Plan of July 2001. 99 percent of the kits containing a killer flu bug that mistakenly ended up in thousands of laboratories around the world, sparking fears of a pandemic, have been destroyed, according to top U.S. health official Dr. Julie Gerberding, director of the Centers for Disease Control and Prevention (CDC). World Health Organization (WHO) officials say that all but one of the deadly flu virus samples mistakenly sent to labs outside the United States have been destroyed. The World Health Organization fears that a global pandemic could occur should the H2N2 virus, the "Asian flu" strain of 1957, be unwittingly released, the virus which was mistakenly included in routine test kits and sent to 61 laboratories in 18 countries outside the United States. Dr. Keiji Fukuda an expert at the Centres for Disease Control and Prevention is warning that the incident of the particularly lethal variation of influenza in Southeast Asia is probably far greater than has been reported so far. Australian Medical Association Vice President, Dr Mukesh Haikerwal, has said the Australian Government's decision to purchase sufficient influenza vaccine for the next three seasons is good health planning. The U.S. Department of Health & Human Services has unveiled the draft Pandemic Influenza Response and Preparedness Plan, which outlines a coordinated national strategy to prepare for and respond to an influenza pandemic.